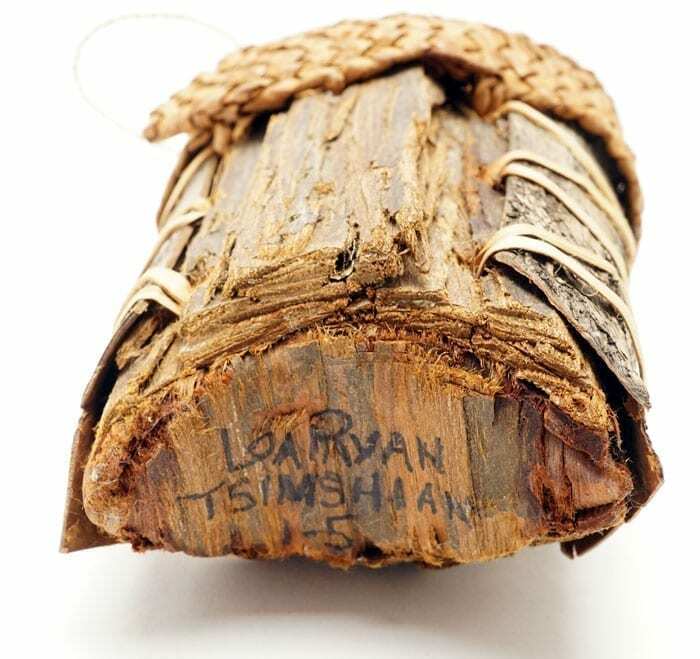 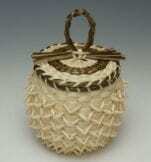 Loa Ryan is a well respected Tsimshian basket maker and educator. 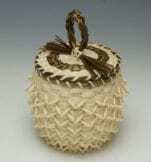 She has won many awards at Native American art fairs, and has taught many how to weave. 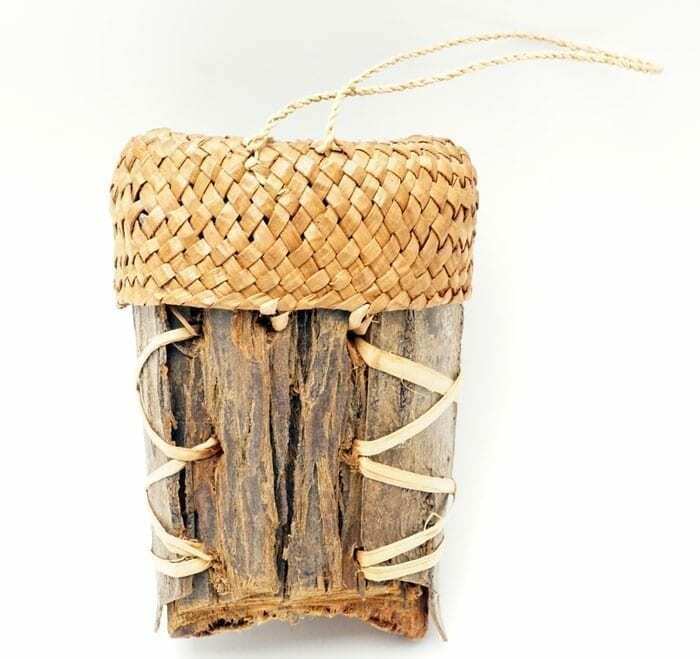 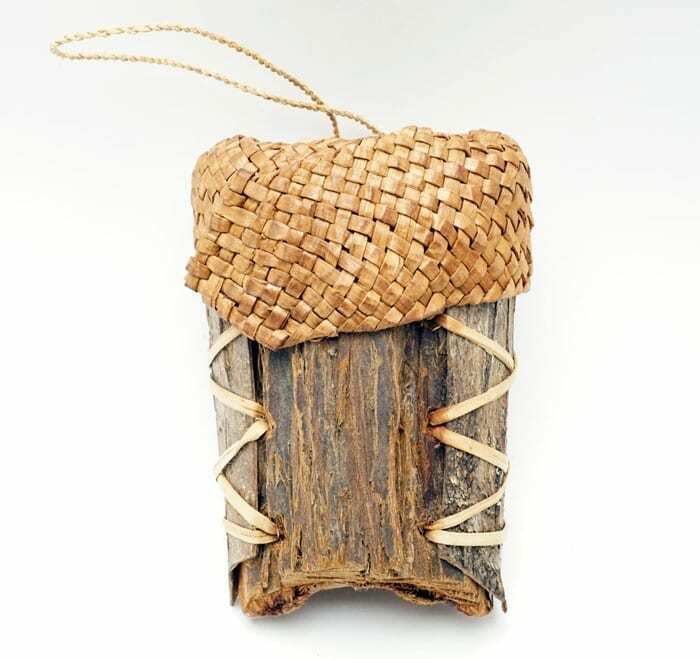 This is a rugged and earthy-looking basket, with an inner core of steam-bent red cedar bark covered on the sides with wild cherry bark. 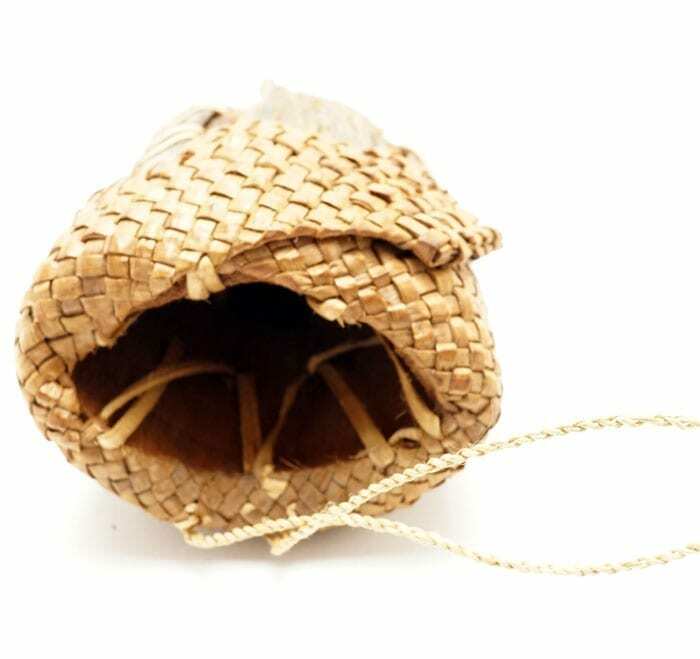 Yellow cedar bark is used for the stitching; a red cedar cape with a hanging loop tops the whole basket beautifully. 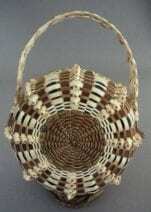 The basket is in excellent condition and is signed by the artist.